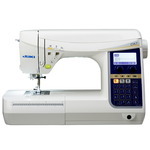 Truly automatic thread tension can only be accomplished by computer sewing machines which have electronic sensors to measure fabric thickness or electronic tension motors to set tension by stitch type. Metered top thread tension measures fabric thickness and is the best auto tension technology. Auto tension by stitch type ignores fabric thickness, so you may have to adjust by dial or on-screen. 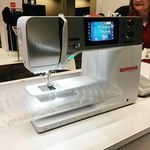 Mechanical sewing machines may have an AUTO or UNIVERSAL (usually between 4 and 5 on the dial)for setting the top thread tension dial for the most universal tension setting, but are not truly automatic tensioning. 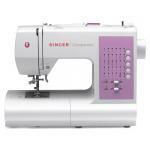 Numerical tension dials are there for you to manually adjust tension for the different fabrics, threads and needles you are sewing with.